Throughout Russia, birdlife abounds everywhere! From the spoon-billed sandpiper, one of the most endangered birds in the world, to Brunnich’s and black guillemots, the majestic Steller’s sea eagle and up to fourteen species of auks, there are enough birds to keep even the most experienced of birdwatchers fascinated. Keep reading to see which birds you can expect to see in the different regions that WILDFOOT offer wildlife and birdlife tours to, or call our Russia experts for more information. 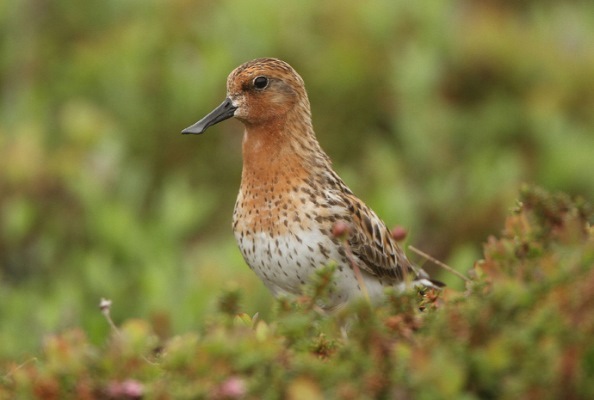 The Russian Far East is home to many more species and a much greater variety, including many that are rare and endangered, such as the spoon-billed sandpiper, which has been the subject of a conservation and breeding project undertaken by Birdlife International in conjunction with WWT at Slimbridge. 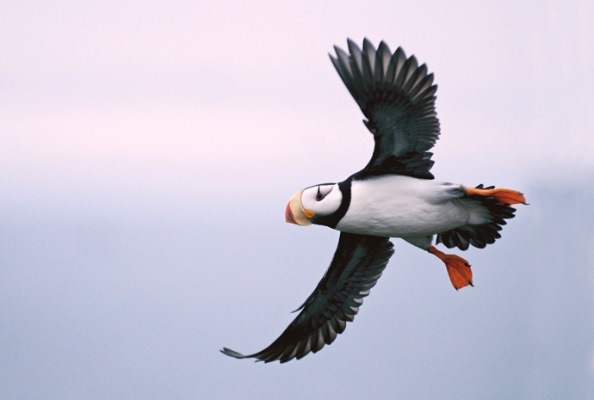 Over 200 different species have been recorded in the region with one of the highlights being the auks, of which there are upwards of fourteen species to be seen, including tufted and horned puffins, parakeet, whiskered and rhinoceros auklets and spectacled and pigeon guillemots. 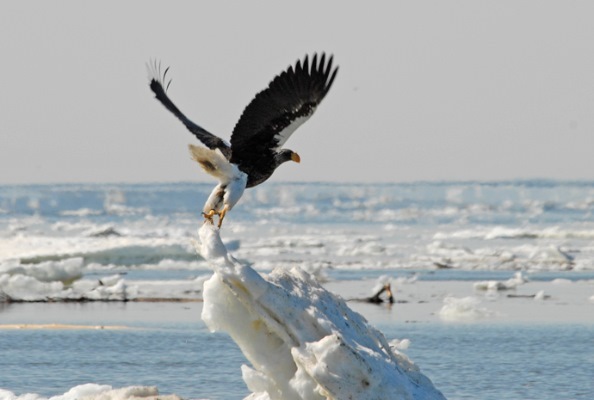 In the Sea of Okhotsk is the highest concentration of the majestic Steller’s Sea Eagle, which can also be found in Kamchatka. 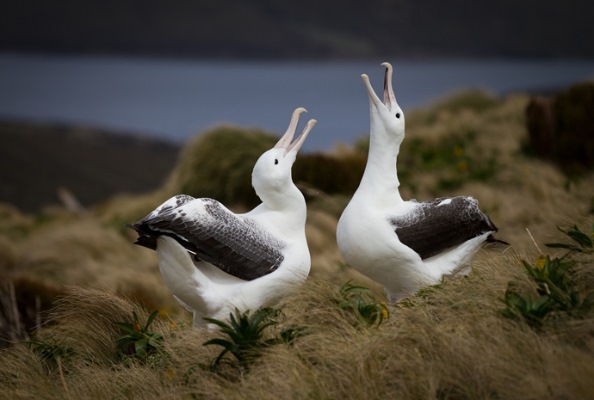 Other seabirds often encountered are Laysan albatross, mottled petrel, fork-tailed storm petrel, red faced cormorant, red-legged kittiwake and Aleutian tern. Broad-billed roller, Mandarin duck, little green heron, chestnut bittern, harlequin duck, scaly-sided merganser, Siberian spruce grouse, hooded crane, Australian curlew, black-tailed gull, Hodgson's hawk cuckoo, Indian scops owl, ashy minivet, bull-headed shrike, blue rock thrush, parrotbill, short-tailed bush warbler, Japanese blue flycatcher, eastern blue magpie, osprey, white-tailed eagle, spotted greenshank, red-necked phalarope, long-toed stint, black-bellied sandpiper, little crake, falcated duck, goosander, masked bunting, narcissus flycatcher, white-eye, Chinese grosbeak, white-throated thrush, Chinese meadow bunting, Pallas’s warbler, Japanese waxwing, sooty guillemot, Temminck’s cormorant, black-throated oriole, brown flycatcher, masked bunting, snow goose, Brent goose, red-throated diver, eider and king eider, Robin sandpiper, buff-breasted and pectoral sandpiper, glaucous and Sabine’s gull and snowy owl.